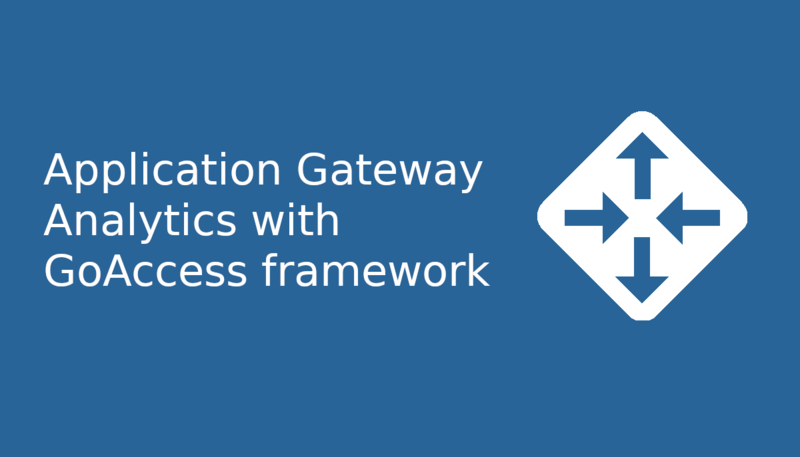 Another recent addition for analytics is Application Gateway access logs with the popular open source GoAccess real-time log analyzer framework. Published via Azure Quickstart template this integration provides customers with another choice for getting insights on the AppGW traffic. GoAccess allows multiple output formats such as terminal or HTML and delivers data in a rich dashboard. It is also efficient and lightweight in terms of resources needed to run. Included with the template Readme file contains the description for all the required input values. As soon as the deployment is finished it is necessary to point the browser at the URL http://<Public-DnsNameOfVM>/report.html, where <Public-DnsNameOfVM> is the DNS name provided for the VM in the template configuration. For more details on the template as well as support options, please see the Readme.